The perfect solution to a cold day, soothing a sore throat, or when you just want something sweet and hot (and other than tea) to drink. 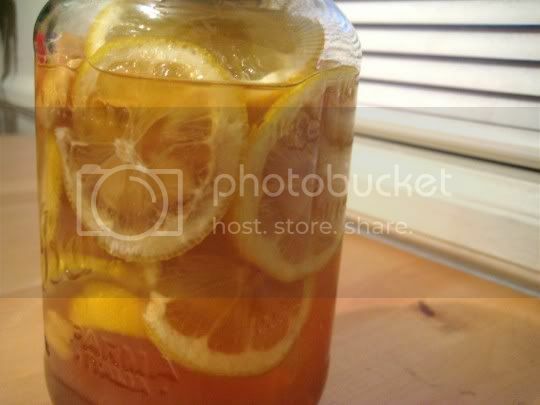 Slice lemons and fresh ginger, put in a jar, and cover with honey. After about an hour, the tangy and fruity lemon and spicy ginger will provide you with an amazing liquid-like honey which is amazing when added to a mug full of hot water. The ginger is subtle, but the lemon and honey add just the right amounts of tanginess and sweetness that you might try to achieve in your perfect cup of tea. I used about 3 tablespoons of the honey mixture per 12-ounce mug of water, which was perfect...no more, no less. 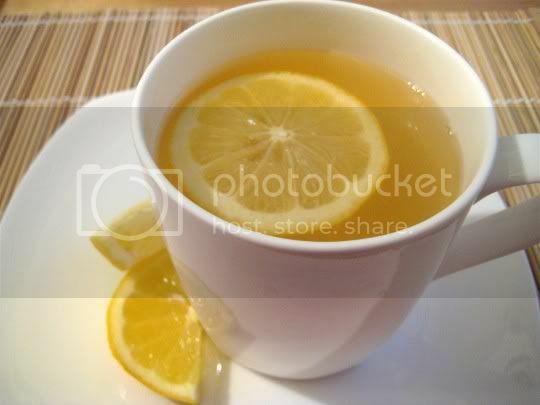 Float one of the lemon slices in this hot beverage for additional lemon flavor, as the oil from the rind will continue to steep. Make again? Definitely. One jar of this stuff should make enough to last you about a couple weeks (stored in the fridge).